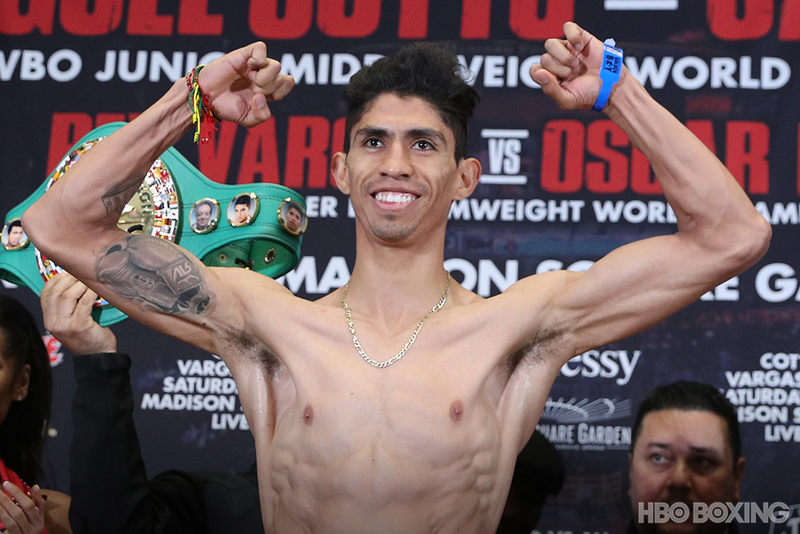 NEW YORK, N.Y. — It would be easy to forget that there are two men, not just one, in Saturday’s main event, such has been the focus on it being the final appearance of one Miguel Angel Cotto. The nearly-forgotten of the pair, Sadam Ali, totally understands why that is. Ali was not the first choice to be Cotto’s final opponent: if various reports of those who turned the opportunity down are to be believed, it isn’t at all clear that he was the second, third or even fourth choice. He is, however, in many ways the perfect one — certainly much more than the Puerto Rican’s preferred option, middleweight wrecker Gennady Golovkin, would have been. Ali is just good enough for it to be feasible that he might spoil the party and win on Saturday; but not so good that he is likely to. Before his sole career loss, a stoppage defeat to Jessie Vargas last year, he was certainly considered a rising talent and legitimate contender. 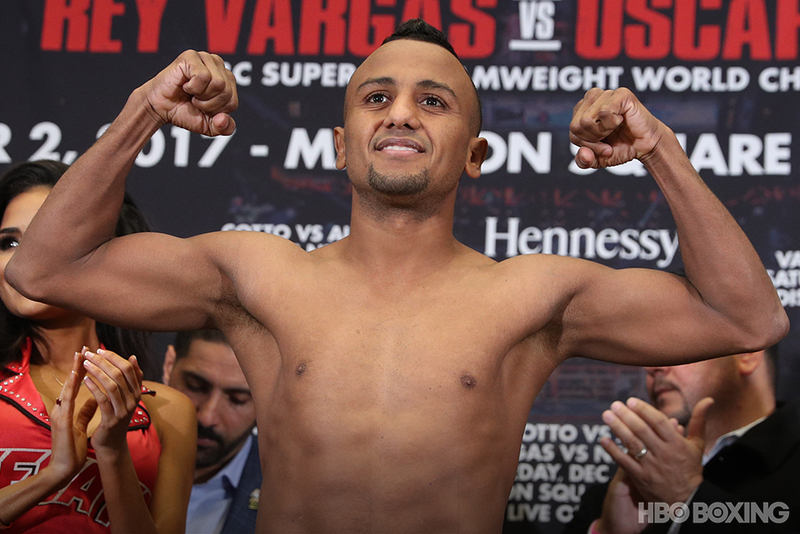 But he did suffer that loss to Vargas; and while Vargas is himself no slouch, boxers knocked out by him generally aren’t expected to defeat future Hall-of-Famers, even future Hall-of-Famers who might be distracted by the hoopla surrounding the fact that their next fight will bring an end to a 17-year professional boxing career. Not that Cotto gives much impression of being distracted in any way, or of distracted being the kind of thing he would allow himself to be. The Puerto Rican has generally been a no-nonsense, matter-of-fact guy; although he has sometimes been dismissed as a diva for what has been perceived as an aloofness, in reality he has preferred to eschew small talk and to concentrate on the core aspect of his job, which is climbing into a ring and punching another human being who is trying to punch him. Not that his has been a career or a life entirely free of drama. There was, after all, the time his uncle Evangelista threw a cinder block at his car windshield - while Cotto was in the car, driving away, and after the two men had twice come to blows. That resulted in Evangelista, who had been in his nephew’s corner for the first 34 fights of his professional career, being excised, Trotsky-like, from Cotto’s world. The proximate cause of the internecine brawl is unspecified, but reportedly was nurtured by a growing discord between the two over training techniques — today hailed as a model professional, Cotto was not always so dedicated to his craft — and came to a head following the fighter’s first loss, to Antonio Margarito. That first defeat was also seemingly the most impactful to Cotto’s psyche. In the years that followed, he not only fought with his uncle, he sported an ever-growing array of tattoos, cycled through a succession of trainers — Joe Santiago, Pedro Diaz, Emanuel Steward — and boxed well without ever quite convincing the way he had done in the past. With Evangelista in his corner, he compiled a record of 33-1. In his subsequent seven outings, he went 4-3. Not even avenging his loss to Margarito in a hate-drenched rematch at Madison Square Garden seemed fully to exorcise the demons. Then, in 2013, when all seemed at its lowest ebb, he linked up with Hall-of-Fame trainer Freddie Roach, who not only righted the ship but helped it get underway again, steering it toward a successful denouement that included claiming the lineal middleweight championship of the world. That final fight is now 24 or so hours away. And lest Ali seek comfort from the notion that one pink croc-shod Puerto Rican foot might already be out the door, at Thursday’s final press conference Cotto made a promise, albeit in a voice that cracked with the emotion of farewell, that enough fire burned within him to fuel one more battle.